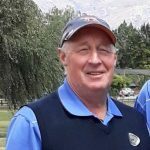 The Otago team encountered its first hiccup of this year’s Metropolitan senior A pennant series, being held to a 3-all draw by a Chisholm Links team on the links course on Saturday. Otago still remains in the box seat with 10 points and 18 games at the halfway stage, followed by the Chisholm team with seven points and 13 games. Former Queenstown junior Callum Judkins won the battle of the No1, players beating Jason Pegler on the 15th green. 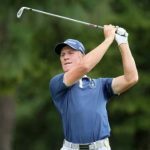 Otago No3 Nick Borren beat MacKenzie Gibson by 2 and 1, while veteran Murray Edgar edged ahead of Sean Geary on the final green. Team captain Mark Collie and Kyle Geary posted wins for the local team, leaving the match between the No4 golfers to decide the outcome. Otago’s Luke Murdoch was four down to Matt Heaton early in the round but fought his way back into the game. The pair went on to the final hole tied but Murdoch encountered chipping woes on the final hole, handing the match to Heaton and the half to Chisholm. At St Clair, the local team notched its first win of the series, beating Taieri by a 3.5 to 2.5 margin. After winning the Taieri senior championship a week ago, Ryan Rosevear was drafted into the team. He was always in control, beating St Clair junior Callum White by 5 and 3 while the Taieri middle order fired and 16-year-old Hayden Robertson posted a convincing win over Connor Ross. St Clair evergreens Ross Colquhoun at No2 and Chris Idour at No6 evened the score, beating Ian Boath and Matt Lee respectively. Parker Aluesi (16) turned round a halfway deficit to beat Mark Andrews with a hole to spare. The outcome of the contest came down to the battle between the No1 players, Joseph Hancock and Callum Stringer. 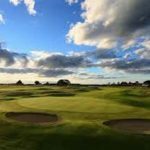 The pair were tied playing the final hole and Taieri looked set to square the fixture when Hancock hit a wild drive from the final tee, his ball finishing close to the ninth hole. Stringer two-putted for a par 4 while Hancock’s approach finished behind a green-side bunker. He played an excellent chip to within centimetres of the cup, for a half to put St Clair in front.